Pittsburgh Underground: Fundays At 420: Star Wars Day Is TODAY!!! Fundays At 420: Star Wars Day Is TODAY!!! It's that time again gang! 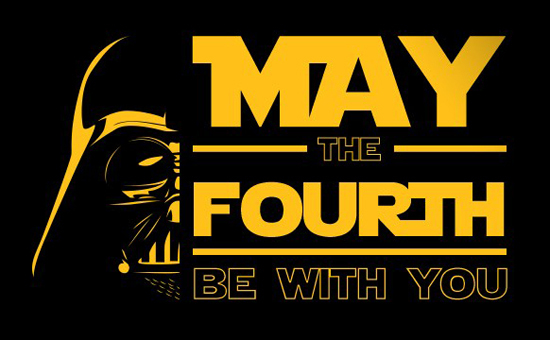 May 4th or as most of us nerds know it to be - Star Wars Day!!! The tale for this event is as legendary as Star Wars itself when back on May 4th, 1979, the phrase was first used the day that Margaret Thatcher took office as UK prime minister. The Conservative party allegedly placed an ad in the London Evening News which read,"May the Fourth Be With You, Maggie. Congratulations." Star Wars: Force for Change is a charitable initiative from Disney and Lucasfilm with the goal of is harnessing the strength of Star Wars and its global fandom to empower people to come together to make a positive impact on the world around them to inspire people to be “forces for change” in their everyday lives. For more info, check out the Official Star Wars: Force for Change Website to donate. Also, we would be remiss if we did not acknowledge the passing of Carrie Fisher who will forever be our Princess. Below is a small tribute courtesy of StarWars.com .